YBCA is excited to present the return of UnderCover with A Tribe Called Quest’s Midnight Marauders – one of the most influential hip-hop albums of all time. Bridging the gap between hip-hop and jazz, Midnight Marauders continues to attract new listeners even as it celebrates its 25th anniversary. UnderCover honors the album with a genre-bending tribute show featuring thirteen Bay Area bands and music producer Starita. 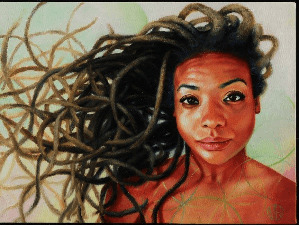 Starita’s collaborators include Phife Dawg and A Tribe Called Quest. Reflecting the spirit of Midnight Marauders, the show incorporates elements from all four pillars of hip-hop: DJing, MCing, writing (graffiti), and B-Boying (breakdancing), along with the minimalism and free-form nature of jazz instrumentation. The political issues the group faced at the time of the album’s release, including institutional racism and classism, continue to persist today. Through this tribute, UnderCover invites the audience to think about the ways that hip-hop can break down barriers to foster equality and unity. 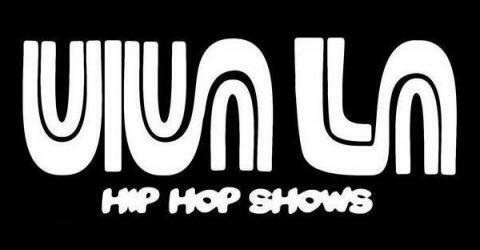 Celebrate the legacy of Midnight Marauders, support local music groups, and get down. To commemorate this tribute, UnderCover will be releasing a double vinyl for the first time. This is an all-ages event. 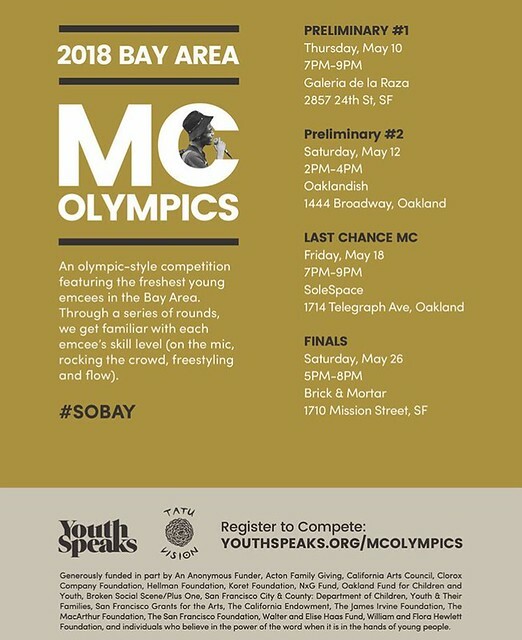 Join us for our Finals on Saturday, May 26th at 5:00 pm at Brick & Mortar Music Hall. All ages and tickets are $5. 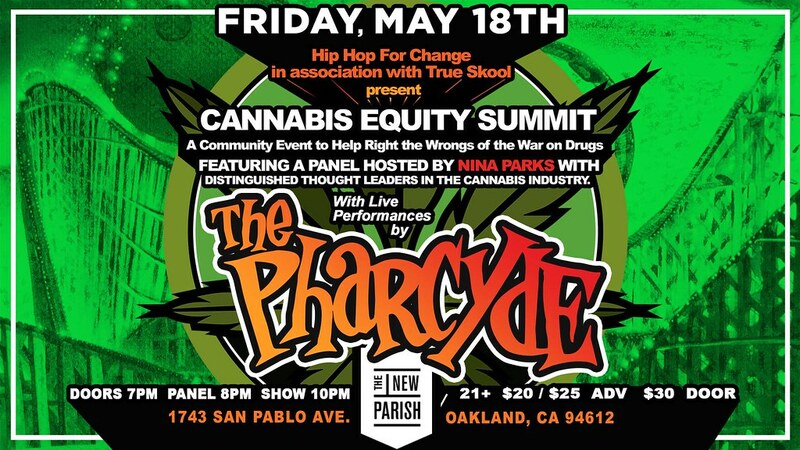 Featuring a panel hosted by Nina Parks with distinguished thought leaders in the cannabis industry including Brother J (X-Clan) and more! 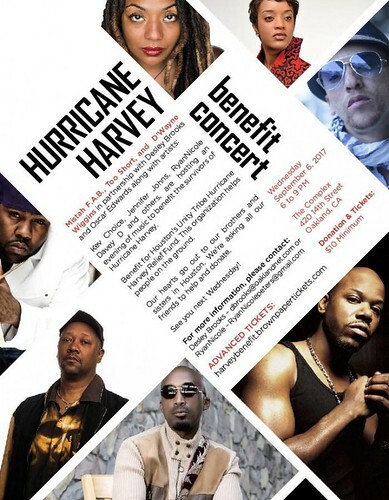 Hurricane Harvey Benefit Concert featuring Mistah F.A.B., Too Short, and D’Wayne Wiggins in partnership with Desley Brooks and Oscar Edwards plus many more! Kev Choice, Jennifer Johns, Ryan Nicole, Davey D and others, are hosting an evening of music to benefit the survivors of Hurricane Harvey. Benefit for Houston’s Unity Tribe Hurricane Harvey Relief Fund. This organization helps people on the ground. Our hearts go out to our brothers and sisters in Houston. We’re asking all our friends to help and donate. 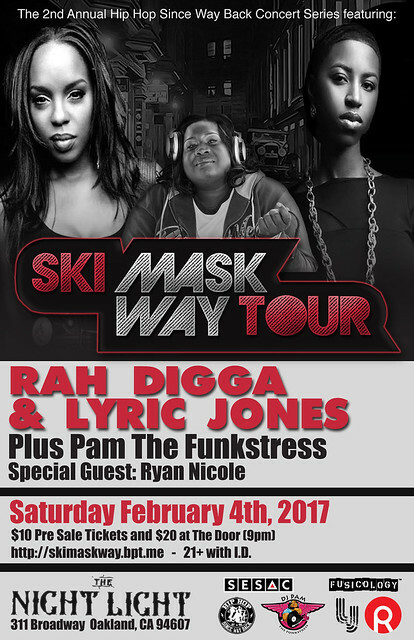 Rah Digga & Lyric Jones team up to bring us a mini tour in true queen, emcee fashion. Over the past 15 years, Rah Digga has grown to become an undeniable legend stemming back to her days with the Outsidaz to her hits & affiliation with Flipmode Squad, and even on the movie screen; most notably from Carmen: A Hip Hopera. As for Lyric Jones, most can attest to her being on her own legendary fast track. 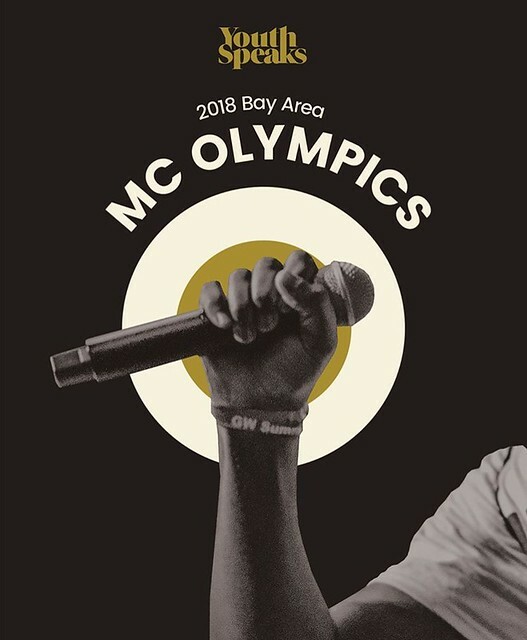 The emcee, vocalist, drummer has shared stages and worked with Planet Asia, Ras Kass, Esperanza Spalding and even hip hop’s fallen angel, Phife Dawg of ATCQ; just to name a few. Digga & Jones’ latest collaboration has the streets, DJs and airways hungry for more, thus brings the 2016 Ski Mask Tour titled after their smash song.